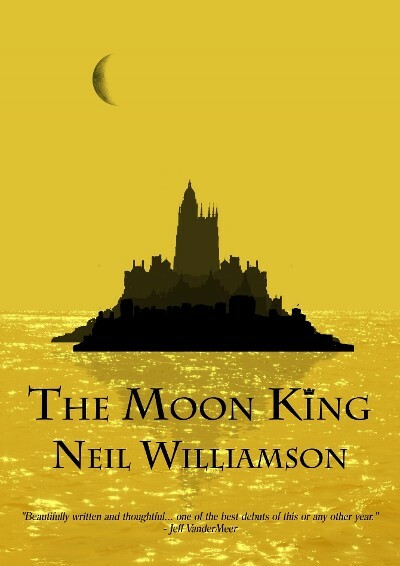 In an island city dominated by the influence of the moon and ruled by a benevolent king, nothing has changed for centuries. But now something is disturbing the long-established patterns of life in Glassholm. Luck monkeys, forgotten technology and mysterious, whispering children abound, and three disparate people find themselves at the eye of the storm: a rebel engineer who is called upon to fix an ancient machine, a retired policeman who feels duty-bound to investigate a series of brutal murders, and an outsider artist who is drawn into the social unrest bubbling at the heart of the city under the moon. “A vivid evocation of a strange moon-ridden bipolar world that swings each month from delirium to despair, and the sort of book that creeps into your dreams.” -- Chris Beckett, author of 2013 Arthur C Clarke Award winning novel Dark Eden.